Zibri's Blog: Softbank C01HW (E5832) Unlock download! Softbank C01HW (E5832) Unlock download! Softbank C01HW (E5832) UNLOCK added. Thank you Zibri for everything! I have used your activator to successfully unlock Softbank's C01HW. All I needed to do after unlocking was to go into the management console on 192.168.1.1 (user: admin, password: device's WEP key), go into 3G settings/Profile Settings, rename the profile and edit the settings according to my provider, save and then in Connection Settings choose the profile I have just created. Restarted the device and it worked! I couldn't change dial up number of C01HW'profile. Create a new profile for your carrier then set it as the default. I am getting the message "connect card" what does it means? what am I am doing wrong? You must first install the serial drivers from the card's "cd"
@avee: please read the instructions inside the zip file. well - had some problems, but did just as you said in your e-mail and 2 minutes later IT WORKS!!! Thanks a lot, Zibri!!! I had same troubles with "Connect card" message - Instructions doesn't tell me anything about "You must first install the serial drivers from the card's "cd"" and no CD provided with my card. After installing "WEB partner" from device it start to work - maybe it can help somebody. You must install the serial drivers from the "fake cdrom" that appears in My Computer when you connect the device. Hi, is there any chance to put E586 into the list. How to enable telnet on E5832S? The utility for E5830 stays on "Connect Card". Thanks! Yes I think you need to say that Zibri because on your page it says with your own words: "This one allows you to unlock *ANY* Huawei "E5" model"
It clearly states that's for E5830. About the unlocker, it can handle all e585 models. Unlocking has nothing to do with telnet. Okay, so, there is no way to enable telnet on E5832S? There's always a way around things.. I just don't had the time to inspect that. Does your program support Softbank C01HW? Yes! It works. Please read the instructions inside the zip file. First thing you need to uinstall the driver. Hi Zibri got the card unlocked ok but cant connect to the internet displaying "no service" with docomo usim in japan have I done something wrong? I don't know.. you must configure the card for the new provider. But "no service" seems to mean the card can't lock to the provider's frequency. 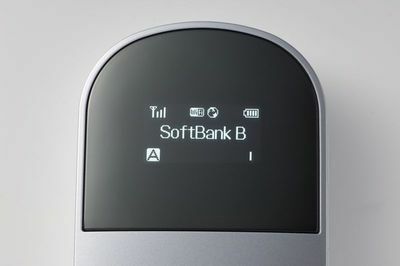 SoftBank sells C01HW as "overseas SIM unlocked" in Japan. Bat C01HW is "SIM locked" in Japan. Called "network lock", maybe C01HW dont display NTT docomo network(MCC=440,MNC=10,UMTS 2100). I use docomo network with same usim, same place and another SIM unlocked modem. Perhaps similar to "Huawei E585 Vodafone australia lock" case. Please unlock C01HW in Japan. My program can unlock C01HW! When it's locked it shows "wrong sim". "no service" has nothing to do with the unlock. Download my program and read the instructions. I couldn't run the program on windows 8. I don't know. I don't have windows 8. The program is fully tested under windows 7 32 and 64 bit. softbank's c01hw is supported by the program?docomo's sim card can be used on it? if can't ,refund is ok? Yes: it's supported and proved to work. No: no refunds because it just works if you follow the included instructions. Link is up again, sorry.